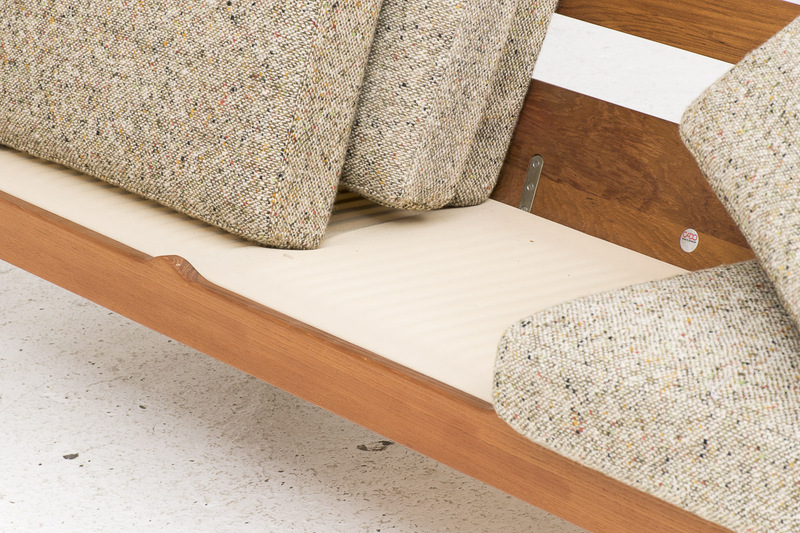 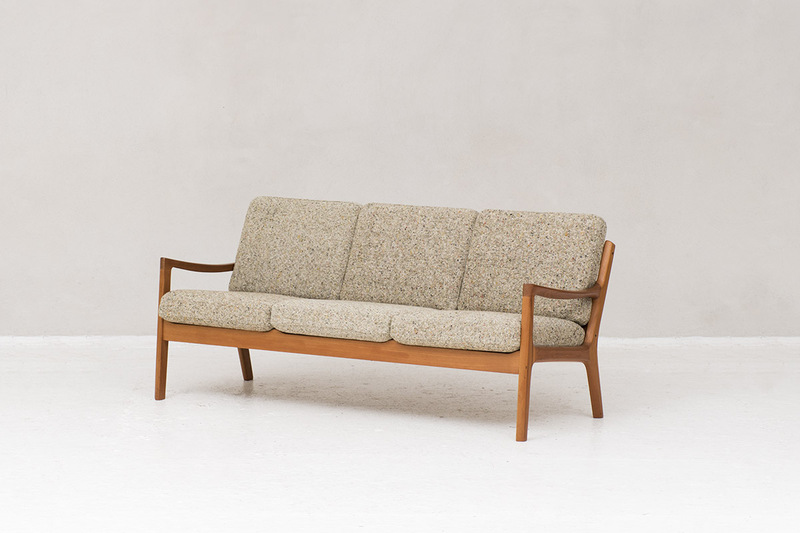 Sofa designed by Ole Wanscher and produced by Cado in Denmark in the 1960’s. 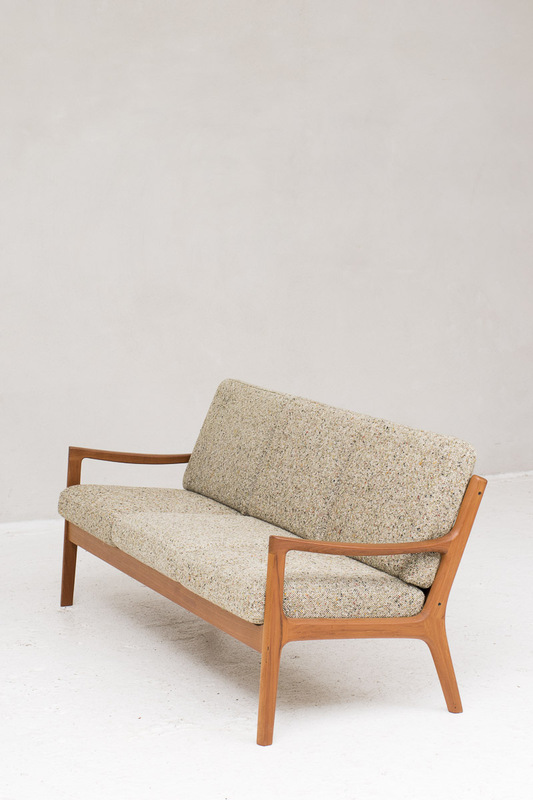 This three-seater has a teakwooden frame, is fitted with loose cushions and upholstered with a multicolored beige wool fabric. 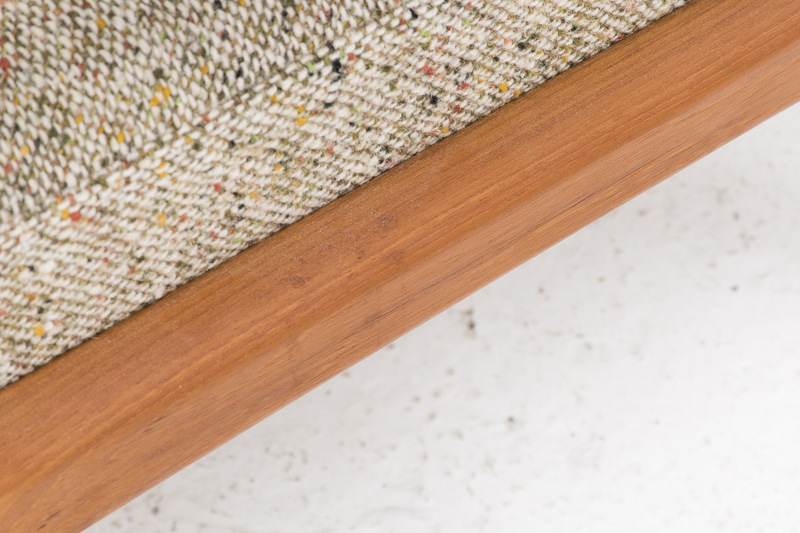 Both the fabric and the honeycomb coloured wooden frame are in excellent condition. 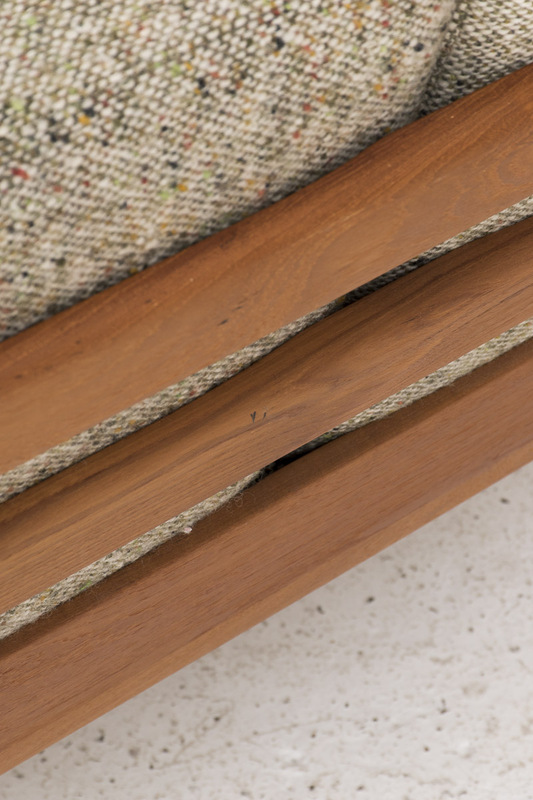 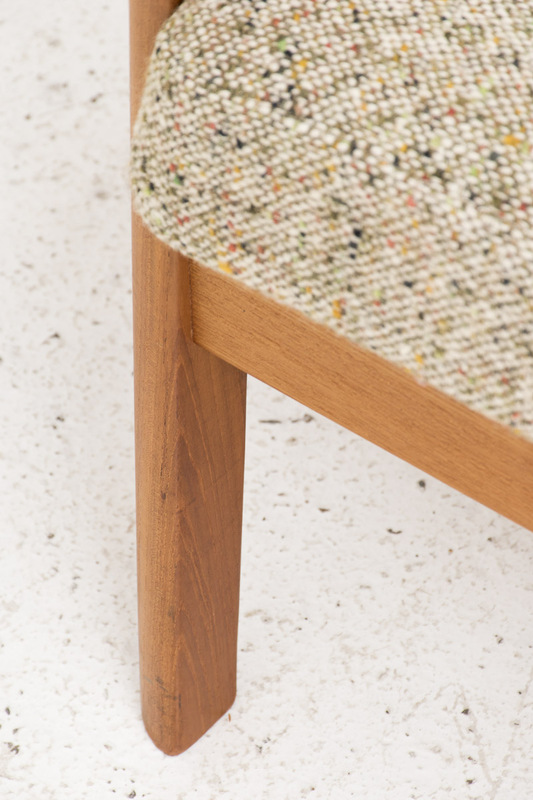 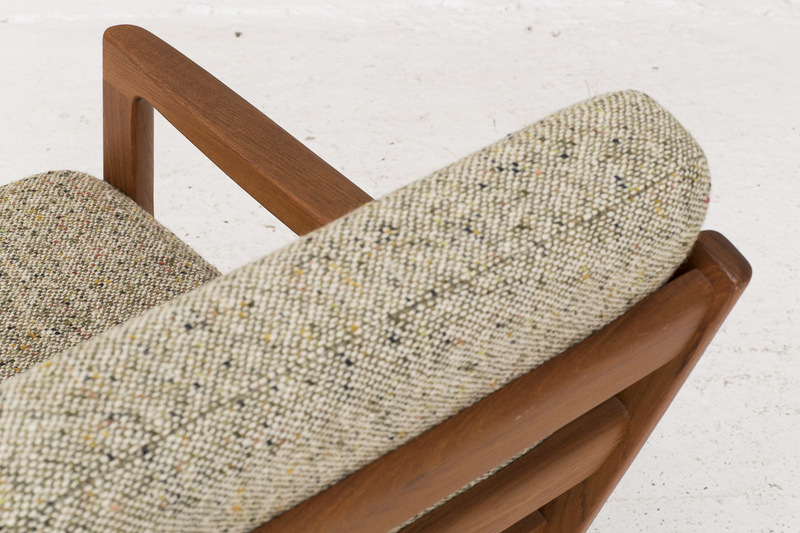 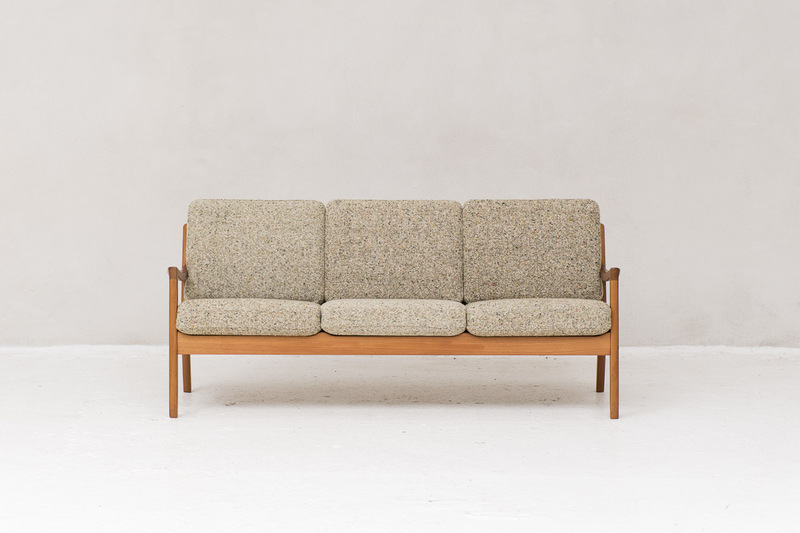 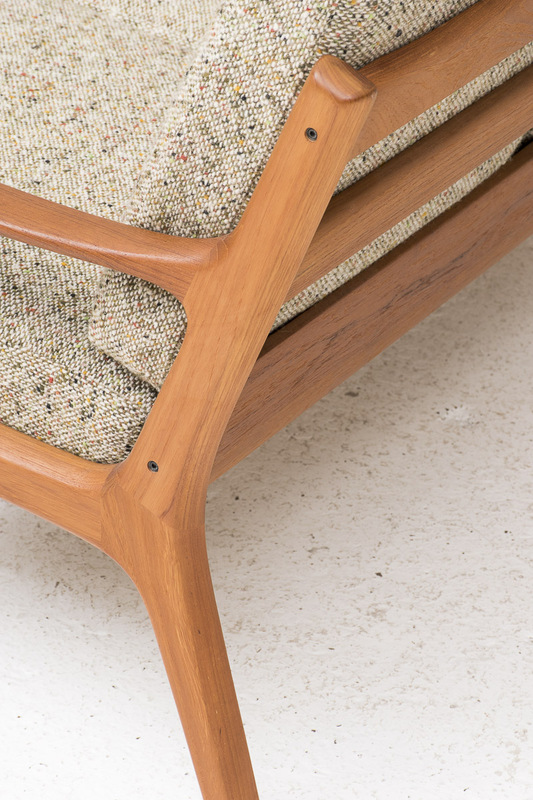 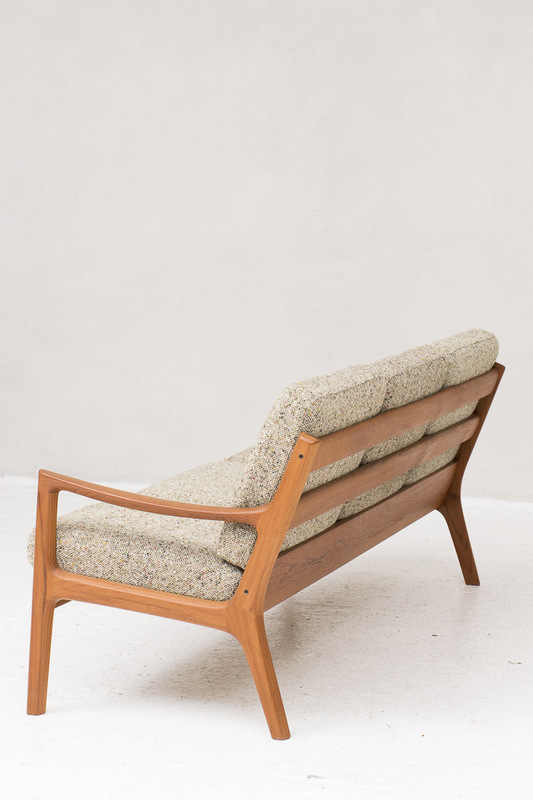 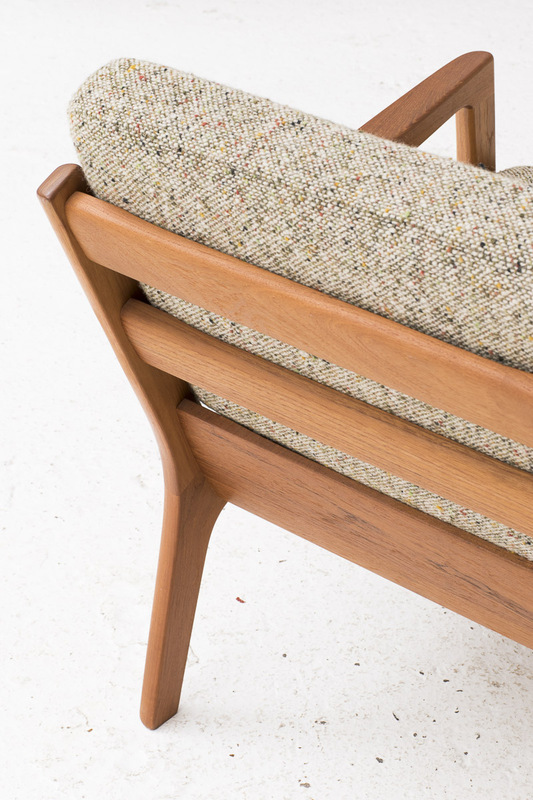 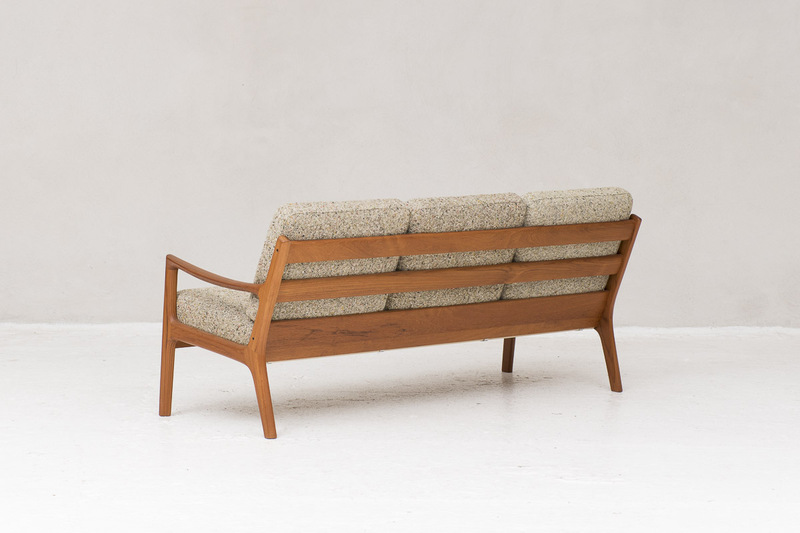 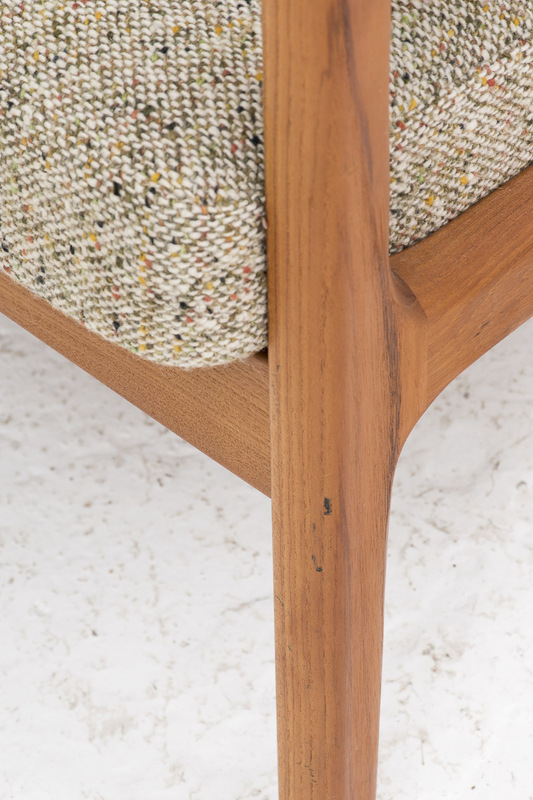 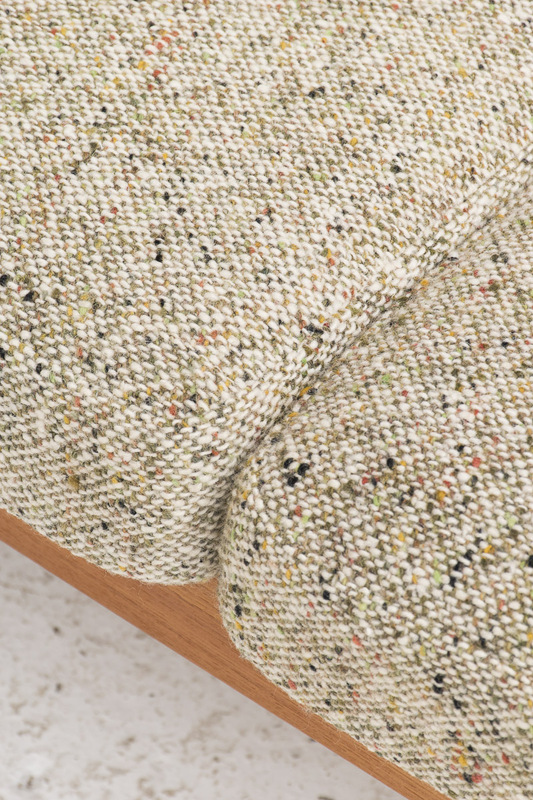 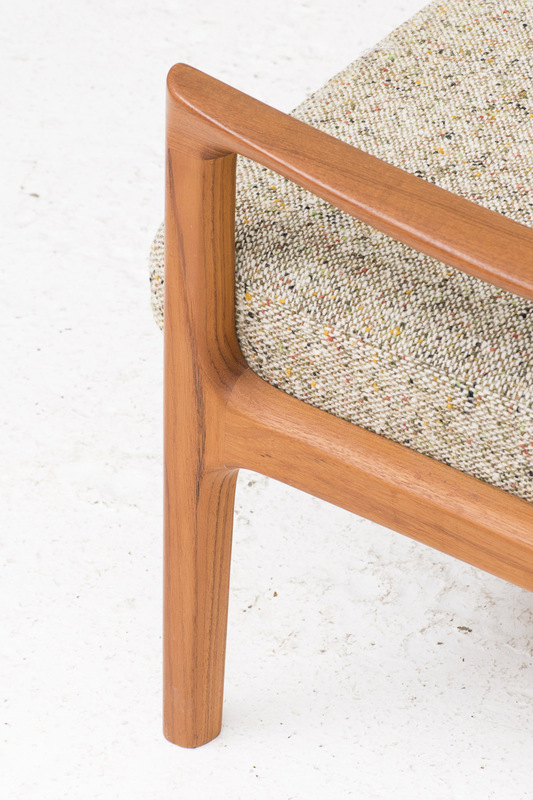 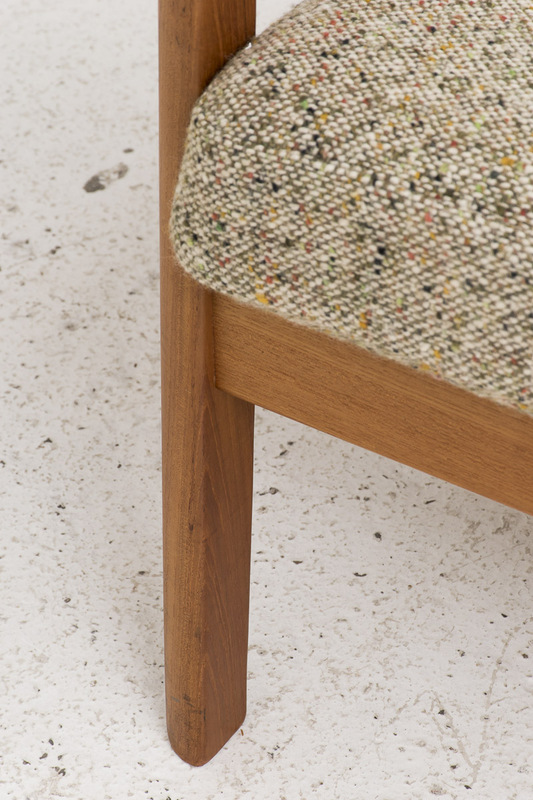 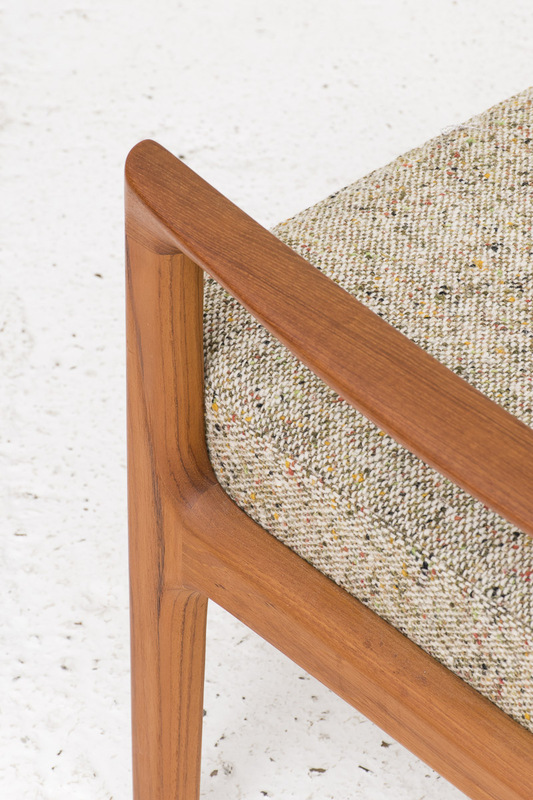 This quintessential Danish vintage couch has the Cado quality label.